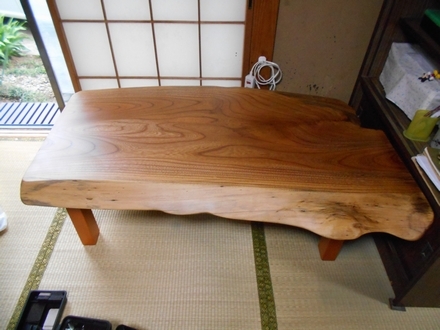 We make a delivery of two Zelkova table tops. 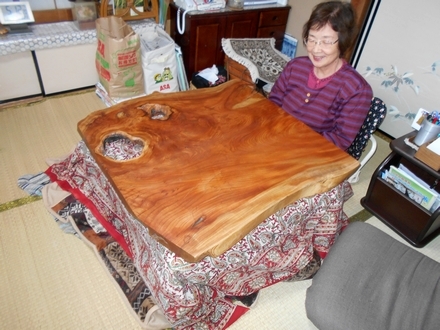 One is for Kotatsu. 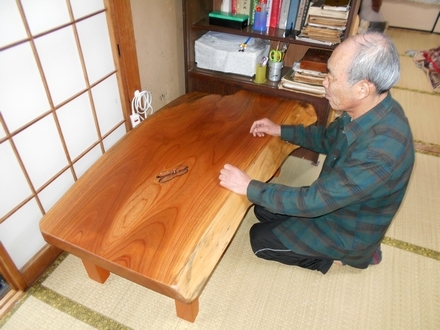 It has beautiful wood grains called chijimi-moku and shiwa-moku. The other is a table for calligraphy. The table height was adjusted to be just right for dipping the calligraphy brush into the ink!